Enjoy exclusive discounts and smart banking promotions when you join Education First. OK, maybe they're not the hottest films of the year. But these tutorials will show you our mobile and online banking services in action to give you a better understanding of how they work. Watch and learn — it's easy! Ready to save time and simplify your life a little bit? Of course. Online and Mobile Banking puts you in control. Here's what you want can do with them. Take These Easy Steps to Achieve Your Goal! 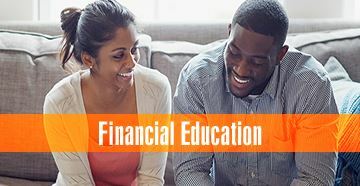 Education First Credit Union in Southeast Texas is a full-service financial institution offering valuable banking solutions including checking accounts, savings accounts, mortgages, auto loans, business loans, credit cards and more. Bank online, through our mobile banking app, or at any of our convenient branches in Beaumont, Jasper, Kirbyville, Kountze, Silsbee or Woodville, TX. © Education First FCU. All Rights Reserved. NCUA – Federally insured by NCUA, and backed by the full faith and credit of the United States Government. National Credit Union Administration, a U.S. Government agency. Equal Housing Lender – We do business in accordance with the Fair Housing Law and Equal Opportunity Credit Act. APR = Annual Percentage Rate. the quality, safety or suitability of any software found on these sites. Using a hyperlink may identify you as a EFFCU member to the operator of the external site. EFFCU does not provide and is not responsible for the product, service or overall website content available at these sites. The privacy policies of EFFCU do not apply to linked websites and you should consult the privacy disclosures on these sites for further information. If you click 'Cancel' you will be returned to the EFFCU website. Welcome to the Education First Website! Explore all of the new features and functionality, thoughtfully designed to help you simplify your finances and save you time. We added the login to the main menu, so you can access online banking quickly and easily. We gave our print and video content a major boost to help you make informed decisions about important financial matters. Connect with us instantly during business hours for a real-time conversation and get answers to your questions. This tool makes it easier than ever to find one of our branches or ATMs. Receive product and service recommendations just for you based on your current life stage, lifestyle or goals. Use our quick how-to videos to learn how to get the most out of our time-saving online and mobile banking services. Thank you for checking out our site tour! If you have any questions, please Contact Us or use our Live Chat feature – located at the bottom left corner of your screen!